Tyrannidae rarely live, such as open plains. Both the eastern and western kingbirds extended their ranges to the Great Plains of North America during the twentieth century, nesting on utility poles, towers, and planted trees. Most cases of distribution change among Tyrannidae during the twentieth century, however, have been characterized by restriction rather than expansion. 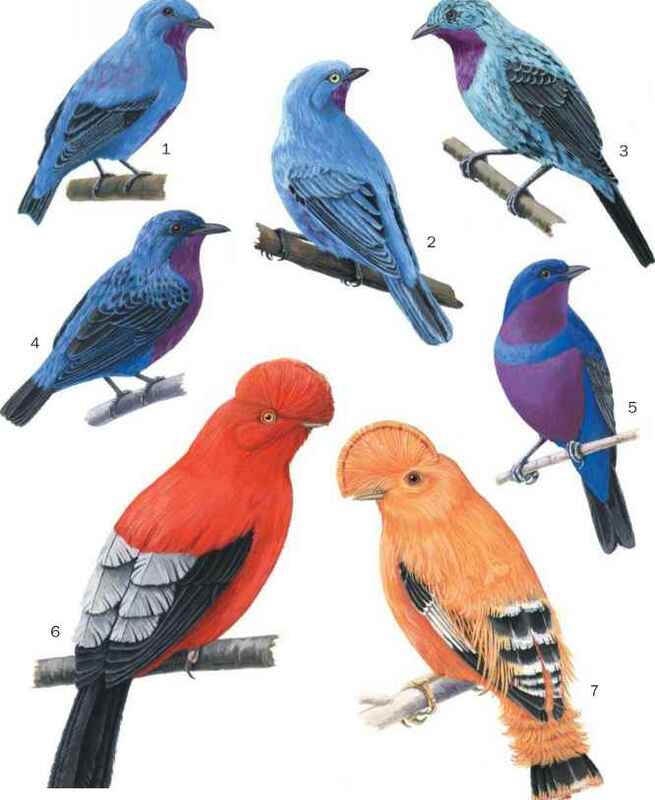 The range of the alder flycatcher has shifted northward, possibly due to climatic warming or the natural regrowth of woodlands. The latter possible cause is feasible because this species' habitat is swamp and meadow thicket. Declines in population were reported during the 1990s for numerous species of tyrant flycatcher. The 2000 IUCN Red List of Threatened Species lists the following species as facing the most critical conservation challenges among tyrannids. The southwestern subspecies of the willow flycatcher was on the United States Endangered Species List in 2001. Its population was estimated to be only a few hundred individuals in southern California, Arizona, and New Mexico. This subspecies breeds in dense vegetation along moving water, and its decline may be due to destruction of this habitat by cutting, fire, and cattle grazing. Large declines were also reported for the olive-sided flycatcher (Contopus borealis), the western wood-pewee (Contopus sordidulus), and the eastern wood-pewee (Contopus virens). 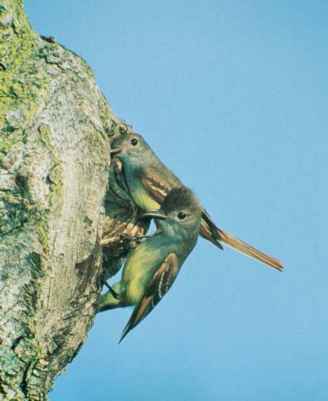 Declines in the willow subspecies and the western wood-pewee are thought to be caused by deforestation of the birds' winter habitat in the South American Andes. The eastern wood-pewee may owe its decline to increases in the population of white-tailed deer in eastern North America. The deer's grazing behavior clears the vegetation structure of the forest floor, making the habitat less hospitable to the bird.